Soap making molds come in different forms, shapes and sizes. They're made from wood, acrylic, plastic, silicone or from items found around your house. You can be very creative with molds! CAUTION! If you're making soap from scratch, using lye, make sure your mold can withstand its caustic properties and withstand uncured soap. If your homemade soap penetrates the mold, you could have a real mess! It could damage your table or counter top. Use the proper soap making equipment for making homemade soap. Wooden soap molds, from pine, are sturdy. They can be in any shape. Some loaf soap molds have removable ends allowing soap to slide through while being cut. Soap is easily removed. You'll get nice, straight, square, soap edges with this type of mold. 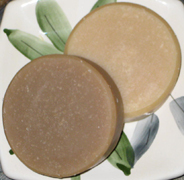 This mold is handy for making large or small batches of soap. It helps insulate curing soap. Other wooden soap molds may be square in shape, without removable ends. You can make whatever shape you'd like with your carpentry skills. Wooden soap molds are nice for making homemade soap, from scratch. Acrylic molds are found online, at craft stores, hobby shops and more. Find plain cavity molds or decorative molds. Acrylic and plastic molds are great for beginner soap makers. There is no cutting or beveling of soaps using these types of molds. These molds are not ideal for making large batches of soap, but small batches or individual soaps instead. They're often used with the melt and pour soap making method. Use high quality acrylic or plastic soap molds since cheaply made ones are liable to crack, split, warp or break. Continual replacement of thin or cheaply made soap molds, could get costly. Silicone soap molds come in decorative shapes or just plain cavity molds. High quality molds are dishwasher safe, won't fade, flake or wear off, easy and quick to clean. They come as individual shapes or as trays. They're available in a variety of colors. They release soaps and store easily, due to their flexibility. Most soap makers say these molds work very well. Look for items around your house with plain or decorative shapes. Use sturdy materials that withstands caustic lye. Stainless steel pans are okay to use, but NOT plain metal pans. CAUTION! DO NOT USE METAL SOAP MOLDS, like metal bread pans or decorative shapes. Certain metals react, negatively, with lye. When raw soap comes in contact with any kind of reactive metal it will corrode the pan, ruining the pan and the soap! After removing soaps, from your molds, allow enough soap curing time. Twenty-four to thirty-six hours should be enough time. Place your homemade soaps on an air ventilated drying rack, for good air circulation. Soap making molds are used repeatedly. Check molds for cracks, splits, holes, caking of soap particles, etc… Avoid soap making disasters! Soap stamps are used to emboss finished bars. They have a wooden handle and hard rubber stamping area. Just place the hard rubber end on individual bars, then carefully strike the handle with a rubber mallot. This will make an imprint on your bars. There are many designs to choose from on the market. A soap stamp can be designed specifically for you. This may be handy for a soap making business. Your soap stamp could be your company logo. -- Check Amazon.com They have a large variety and nice selection too! You may find some molds to be less expensive, but still high quality. -- Use high quality molds to save time and money!